What is your circumstance your facing? Join Jesus in His circumstance of Peace. 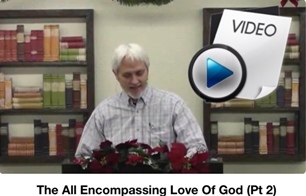 The all encompassing love of God covers every circumstance of life. Circumstance means to stare at what surrounds you, to be encompassed, encircled. Stare at and be encompassed with the reality of His love for you displayed through the finished work of the Cross. Join us as we look at some circumstances that faced Jesus and how He mastered them. As He is so are you in this world… you will be blessed! Jesus said in Luke 16:16 NIV “the good news of God’s kingdom is being preached, and everyone is forcing their way into it.” In my experience, it seems as though everyone has not been forcing their way into it. Perhaps that’s because we have preached the wrong message. The right message gets the right response. And what is the right message? Well here’s a hint. It’s good news. It’s not good and bad news. It’s pure, undiluted good news! Jesus said, “the GOOD NEWS of God’s kingdom is being preached, and everyone is forcing his way into it!” The good news is that God is unfathomably good in word and deed. He has already shown his goodness and grace to us through Jesus Christ. God loves you so much that he sent his Son to die for you. You don’t have to strive or perform to earn his good approval – you just believe it. Isn’t that good? When the world hears the good news preached, not a mixture of some good news, some bad, but pure undiluted good news, they will hear what they have looked for and have craved all their lives. It’s built-in us, for we were created IN the image and likeness of God, it’s already there, and so when they hear who they already are and what they have been given, they will not only force their way into it, but even tear open the roof to come into it, even as they did in Mar 2:4 “And when they could not come near Him because of the crowd, they uncovered the roof where He was. So when they broke through, they let down the bed on which the paralytic was lying.” Healing is good news, especially when there are no conditions to meet, nor strings attached. Acceptance and provision without condition is good news. Jesus attracted the world because of His goodness, and good news, everywhere He went everyone was forcing their way into Him. Read Mark 5:23-29, and you will see people forcing their way into God’s Kingdom, but first notice the verse I quoted at the beginning which states the “good news” of God’s kingdom is being preached… Only “good news” truly attracts people to force their way into this Kingdom of our loving savior! Not bad news which the world has plenty of, and worse yet, not a mixture of some good, some bad news which religion has an ample supply of. Saying things like God is good all the time, but you better toe the line, read your bible, pray and by all means you better not miss a service, or you will not be fully accepted by God. You see the good news and bad mixed? The mixture actually just turned the good news to bad news. Only religion tries to manipulate the “forcing their way in,” by telling people things like your not accepted unless you come to church, obey everything, and so on. That is not good news my friend. I have met many people who have told me they quit going to church long ago, cause they couldn’t live up to all the manipulation, oops I mean the rules. They gave up on religion, not God. Religion attempts to force, by coercing people into it. The Kingdom of God, on the other hand, reveals who we really are, and our innocence (which requires no effort on our part) a result of the finished work of the cross-good news; God’s unconditional love is so attractive that people force their way into the Kingdom! See the difference? Now back to Mark 5:23-29. Many times in the gospels you will notice the words “when they heard about Jesus,” then the miracle. This is what it says about the woman with the issue of blood in Mark 5. What did “they” hear about Jesus? I’m confident they heard only good news such as His acceptance of the sinner, the fact that Jesus never judged the sinner; he loved and accepted them; they may have heard that He heals and asks nothing in return, people speaking of His kindness, and a truly unconditional love. I’m certain this was the case with this woman, cause she broke many of the “Jewish laws” (laws that could have gotten her stoned to death) to get to Jesus, then she forced her way into Jesus as he was being thronged (force one’s way in) by the crowd, and touched the hem of His garment. Oh what exciting things that the “good news” (which is the gospel) has in store for you! When she heard the good news about Jesus, she came and forced her way into the Kingdom, and got her every need abundantly and forever met, then Jesus ushered her into His peace where she finds eternal rest, (Heb 4) in her promised land, which is Christ! Wow, doesn’t that make you want to force your way in, by hearing the good news which is the discovery of who you are in Him? What is THE good news conveyed in the gospel? Unconditional love and acceptance; your innocence revealed, no requirements on your part, but Jesus obeyed on our behalf, so that we could experience His love, and acceptance. God is love, therefore, love fulfilled the law. We experience His love, and therefore, we love because He first loved us. True unconditional love, without any obligation is the most powerful force known to mankind, and its attraction is so strong that it draws us like a super-magnet. This is the “force” that draws us to His kingdom of love. The moment we condemn others, add requirements, or rules to be kept or performed in order to qualify ourselves; we replace God’s love with counterfeit conditional love, which repels people like opposing sides of a magnet, this, we call religion. You are required to do certain things to gain God’s love and acceptance, which is a fool’s errand; an impossible task, because you cannot attract but only repel with counterfeit love. The harder you try the more exhausted and frustrated you become. 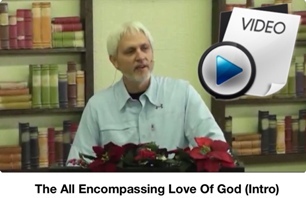 The effortless force of God’s unconditional love effortlessly and forcefully draws you in. Come in, the work is finished, reign in life through the one who did it all for you, our savior-Jesus. Turmoil in our minds lowers our expectations (hope). Hope is our expectation of good in our future, which really comes from understanding God’s love and grace for you. We begin looking at what the Kingdom of God is, and see the importance of God’s peace in our lives, which leads us to His rest. When we have His peace, we see His goodness in our lives. Be blessed as we continue to explore the heights, depth, width and length of His love. Rejection and condemnation have beaten down people causing them to live a life of guilt; yet people are seeking acceptance. All they want is for someone to accept them the way they are, usually getting hurt over and over again. 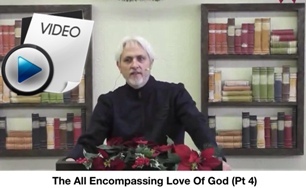 Learn the true meaning and acceptance of un-conditional love, and how only this Love, which is God, will bring wholeness into your life in every area. There is NO greater feeling than tangibly experiencing the amazing, bigger than life, Love of your savior! Love is life! Discover God’s love in a way that you may not have ever heard. An all encompassing love, that leaves nothing undone in our lives. Watch His love, make you whole again, spirit, soul and body. Expect the unexpected, expect a miracle in your health, finances or whatever the need. Rom 8:28 Meanwhile we know that THE LOVE OF GOD causes everything to mutually contribute to our advantage. What Is God’s Perfect Will For You? The number one question on the minds of most Christians is most likely; “What is God’s perfect will for my life?” And “How will I know when I find it.” This troubles most Christians to the point that they fear missing His will. This fear begins the “striving” to find God’s will for their lives, which could be interpreted as “I must do the right thing and be right to be accepted and pleasing to God.” If that is you, then I have some GREAT news for you. Listen in as we discover God’s will for your life! 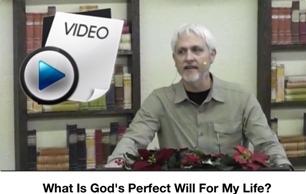 Posted on December 1, 2014 October 26, 2016 Author EvanCategories Grace Audio/Video MessagesLeave a comment on What Is God’s Perfect Will For You?